Not sure what to buy someone for Christmas? 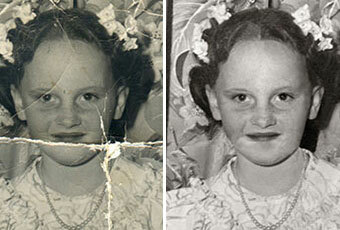 How about a voucher for a loved one to get an old photo digitally restored? This voucher can be used to get a photo restored to the value of the voucher, or it can be used to by a product in the online shop using the unique code. All the recipient needs to do is to contact me for a photo retouch to be quoted and they can use the voucher for full or part payment (depending on the quote amount). You will receive a printed voucher with a unique code to send as a gift which can then be used. Upload an image here to assist with the quote. Please ensure the image file size is 2mb or less.